Vietnam conjures up harrowing images of war and demonstrations. At a young age, I already had a rough sketch not only of the brutal conflict in Indochina, but also the one waged at home. Naturally, as the big history buff that I am, I find myself booking a flight to Ho Chi Minh, with the intent to uncover treasures of the past. 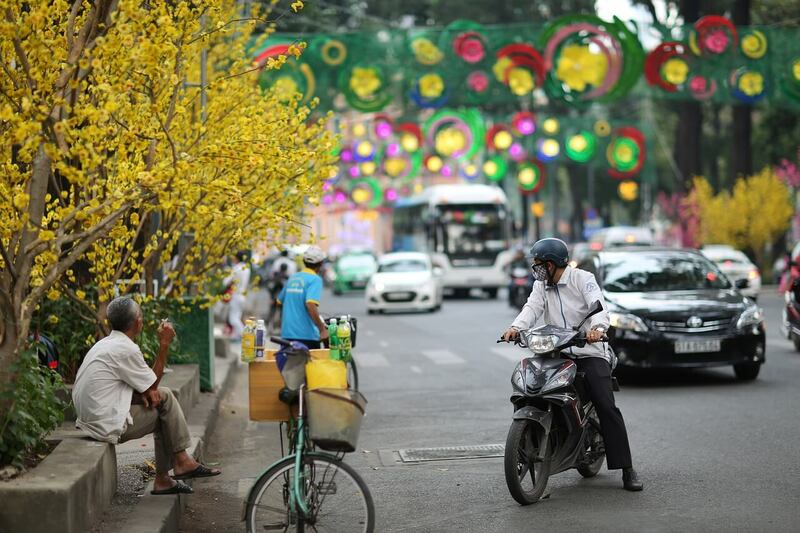 Formerly known as Saigon, and still fondly referred to by most locals as Saigon, Ho Chi Minh is like any other bustling metropolis at first glance. On my first day, the roar of cyclos greeted me along with the youthful chatter of locals in the streets, the busy cafés and restaurants, and chaotic traffic circles. The energy is invigorating. The food is phenomenal, whether you spend a dollar or a hundred for it. It’s tempting to get sucked in the buzz, but a stroll down the city’s less-trodden spots offers contemplative experiences. 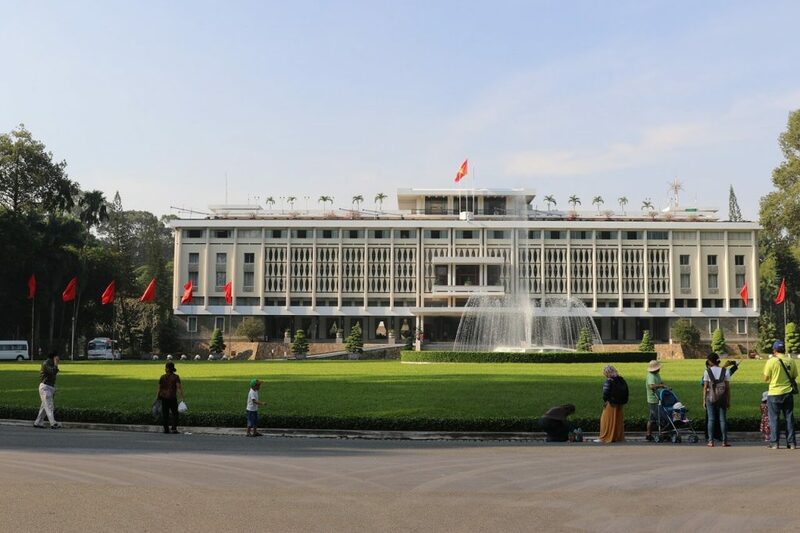 Also known as the Independence Palace, Dinh Thống Nhất was the site where the brutal 20-year war ended, when a North Vietnamese tank crashed through its gates. For a small fee of $1.46, you can get a glimpse of presidential relics, ornate architecture, large banquets, and opulent interiors. You can even go to the old concrete war rooms underneath the palace and imagine military heads plotting the war. Another must-see spot is the Ho Chi Minh City Museum, which is just near the corner of Lý Tự Trọng and Nam Kỳ Khởi Nghĩa streets. Formerly the Gia Long Palace, it was the residence of Prime Mister Ngô Đình Diệm. Here, you’ll learn about the events that led to the Fall of Saigon. But on your visit, do take the time to appreciate the architecture. I walked a few blocks southwest of the Reunification Palace to visit the intersection of Nguyễn Đình Chiểu and Cách Mạng Tháng Tám, the iconic spot where the Buddhist monk Thích Quảng Đức burned himself to death as an act of protest to the Diệm regime. Here, intimate pictures of city life abound. Old meets new in the district, as shown by the blend of imperial treasures, French architecture, and pizza places here and there. A few blocks further south of the Da Kao district, at 28 Vo Van Tan in District 3, you’ll find the War Remnants Museum. It displays photographs, weapons, and other relics from the Vietnam and Indochina wars. Among all the exhibits, I found the graphic photographs showing the effects of Agent Orange, napalm balms, and the My Lai massacre to be the most heart-wrenching. All the exhibits here convey the events with “self-presentation,” allowing visitors to soak in the truths as they happened, devoid of context and/or propaganda. One of the best ways to explore The Pearl of the Far East is by boat via Saigon River. The speedboat tours are a bit pricey, but they offer the best angles to view the city. Charming villages and old houses line the riverbanks, with underground passages built during the war, interspersed by skyscrapers and modern buildings. Several private charters and group tour operators in the area are more than happy to take you to the city’s historic charms. Ho Chi Minh’s progress has brought a new wave in commerce and culture. It marches to its beat while maintaining its old-world charm. It remembers its past but looks forward to its bright future. At night, it even comes more alive with colored lanterns and city lights illuminating its cramped districts. The city is an enduring example that beauty can emerge from the wreckage.